Did you know that a high fiber diet rich in high fiber fruits will help you lose weight? All it took was for me to start incorporating high fiber foods into my diet. I started with high fiber fruits and from there I moved on to vegetables, legumes, grains, and other fiber rich foods. 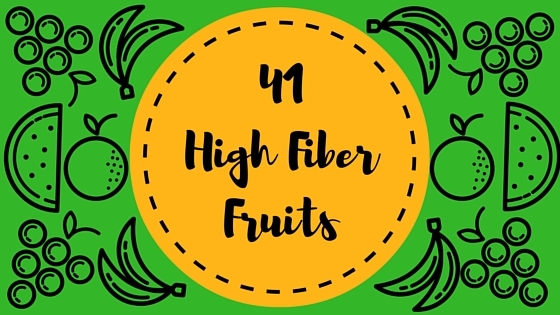 Each of the high fiber fruits in this post have at least 2 grams of fiber per serving, and all of them can be eaten in a variety of ways. To share high fiber fruits that you can start to add into your diet to start to lose weight. 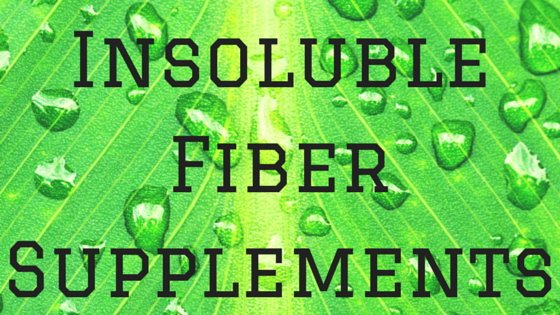 Give the fiber content of each fruit so you can calculate how that fruit ties into your daily fiber needs. To give practical ideas on HOW to eat more of each individual fruit by showing you how to incorporate them into your diet. Dates are very high in fiber and make for a great high fiber snack food. You can eat them plain or add them to a fruit salad, trail mix, or even on top of a pasta salad. Prunes can be eaten plain after stewing them in water or by adding them to oatmeal or trail mix. Experiment with different ways of eating prunes to find your favorite. Elderberries are great to snack on if you can find them. When searching for them, be sure to only eat the dark berries as an unripe elderberry can make you sick. A good way to get more guava into your diet is to slice it and add it to Greek yogurt. This makes for a delicious snack that is both high in fiber and high in protein. 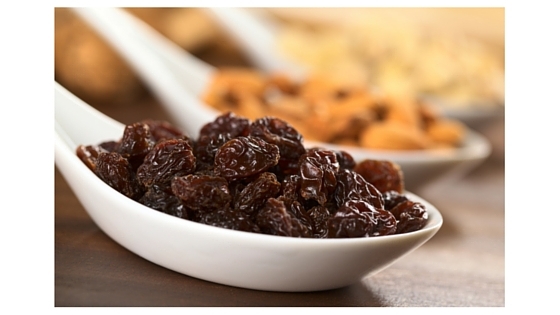 Raisins are a favorite snack item for many. You can eat them right out of the box or add them to oatmeal, trail mix, salads, or even a sandwich. You can eat persimmon plain or even as a dried fruit. If eating the plain variety note that ripeness can be determined if the persimmon feels akin to a water balloon. Dried cranberries are a popular snack to bring along with you to work. You can also add them to salads or as part of a super healthy trail mix. Okay I admit, figs are not my favorite fruit. The first time my wife and I tried to add figs to our trail mix we thought they were disgusting. However, to each his own, so here are 27 Delicious Ways to Eat Figs. Mandarin oranges make for a great snack that you can eat all by themselves. 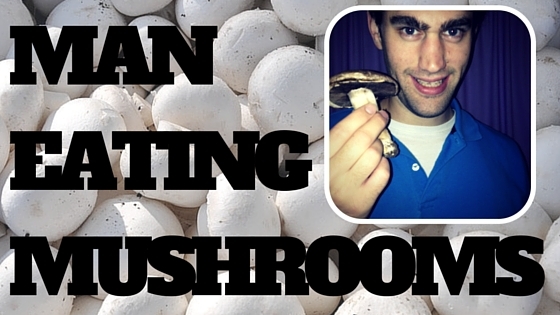 They are a sweet and savory snack food that just happen to be good for you. You can eat healthy but also enjoy your food… Who would have thunk? 1 medium apple has about 4 grams of fiber. Apples are one of the Fiber Guardian’s favorite high fiber foods. They are a great snack food as you can carry them just about anywhere, and you can hold them while you eat them with little mess. Compared to oranges, apples are so much friendlier to people like me who hate getting their hands dirty. Apricots can be eaten fresh for a smooth and sweet treat. You can also add apricot slices to cereal for an interesting combination. Yes you can even eat the skin of an Asian pear. Eating the skin of high fiber fruits is recommend as most of the fiber is found in the skin. Just like eating mash potatoes is not as healthy as a baked potato, you need to be eating the skin on fruits whenever possible. As far as the Asian peer goes you can eat it fresh, plain and simple, skin and all. 1 medium fruit = 4 grams of fiber. Grab a pear, walk out the door, and snack on your way to where ever it is you are going. Oranges taste fantastic when eaten for breakfast. They also taste great as a snack in the middle of the day. The citrussy goodness will appease your taste buds, and the vitamin C will boost your immune system for a one, two punch. Grapefruit tastes great on its own as a fantastic high fiber snack. Plums are full of antioxidants and a great fruit to have as a snack option. Pineapple slices are a delicious addition to any diet rich in high fiber fruits. Just grab a fresh pineapple, slice it up, and serve. 1 medium fruit= 2.2 grams of fiber. Nectarines are small yet extremely delicious high fiber fruits. 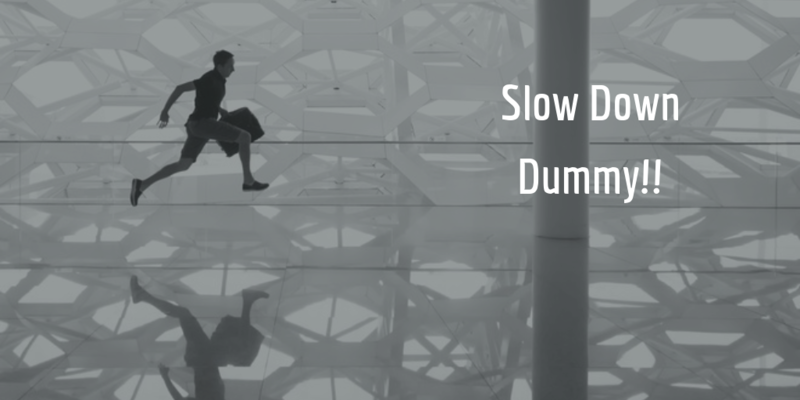 They make an excellent snack item to keep in your bag or even your pocket. One of the keys to losing weight and living a healthier lifestyle is to make it easy for yourself to succeed. Keeping high fiber fruits readily available to snack on is a major step in the right direction. All you need to make a good smoothie is a simple blender. You can use your mom’s old beat up blender from underneath the oven, or you can get your own personal blender. 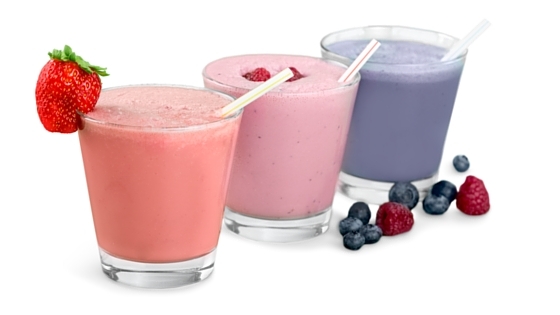 A personal blender is easy to clean and you can drink right from it, instead of having to dirty another glass! Blackberries are an awesome addition to a smoothie. Whether you make smoothies for breakfast or use them as a post workout supplement blackberries are an excellent high fiber fruit. Loganberries are high in fiber and are a cross between a red raspberry and a blackberry with a flavor that is somewhere in between the two. Grind them up in a smoothie and enjoy their deliciousness. A boysenberry is a mix of many different types of berries and some call it the “ultimate berry.” Why not try it out for yourself? Mangoes are delicious and can even prevent cancer. They are a wonderful addition to your dinner time smoothie. Bananas form the bedrock of any creamy smoothie. I put one in every single smoothie I make. Eating more bananas is crucial to any successful weight loss and healthy eating plan. Kiwis actually have 5 times the amount of vitamin C in them than just one orange. Pretty cool huh? Add one of these little green bundles of joy to your smoothie right away. Papayas are really good for your digestive health due to its fiber content, but also because it contains papain which is a protein dissolving enzyme that eases stomach woes. Pop a little bit into your smoothies for an extra kick in the fight against stomach problems. While I am a big fan of peach tea on occasion, you need to actually eat the fruit or blend it up to enjoy the benefits of fiber. Just like you can’t drink orange juice or apple juice all day and expect to reach your daily fiber goals. Cooking with high fiber foods can add a great flavor to your meal. You might not get the full fiber content of the food in question since you are cooking with it, but it is nonetheless good to familiarize yourself with (and learn to love cooking!) healthy foods. 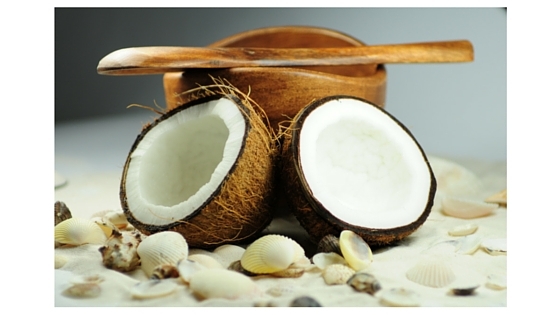 Coconut has a unique flavor and it is fantastic to cook with. Here are 29 delicious ways to cook with coconut and enjoy the wonderful taste that coconut has to offer. My favorite way to eat avocados is to add them onto fish tacos. My wife and I frequently make fish tacos using tilapia and a little bit of fish taco seasoning. Avocados add a cool and crisp taste to an otherwise spicy dish. Avocados can also help to lose weight and stay healthy by being a great source of healthy fats. Read more about the health benefits of avocados right here. Currants can be added to any protein dish or you can even make bread with them if you like. Starfruit is a unique high fiber fruit because of its shape. However, it is not just a fruit that looks awesome, it tastes pretty good too! You can eat it plain or add it to many different meals. Try out this spicy chicken and star fruit recipe for a high fiber and high protein supper. Chayote squash makes for an excellent side dish for dinner. Breadfruit is a very unique high fiber fruit. You can choose to bake it, boil it, fry or roast this fruit. Some say it has the taste of fresh bread and others think it tastes like a potato. You be the judge. Eggplant tastes fantastic as a side. During the summer months, throw some eggplant on your grill as a healthy alternative to french fries. 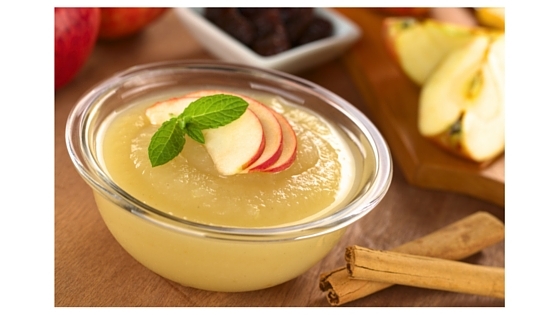 Applesauce is a favorite among many. You don’t want to overdo it as most applesauce contains added sugar, but it is a certainly a much healthier dinner side than potato chips or bread sticks. Gooseberries make a delicious jam that can be added to other high fiber foods such as whole grain biscuits or oatmeal. Sapodilla makes for a fantastic addition to ice cream. To make this tasty treat you can follow this recipe on how to make Chikoo ice cream. 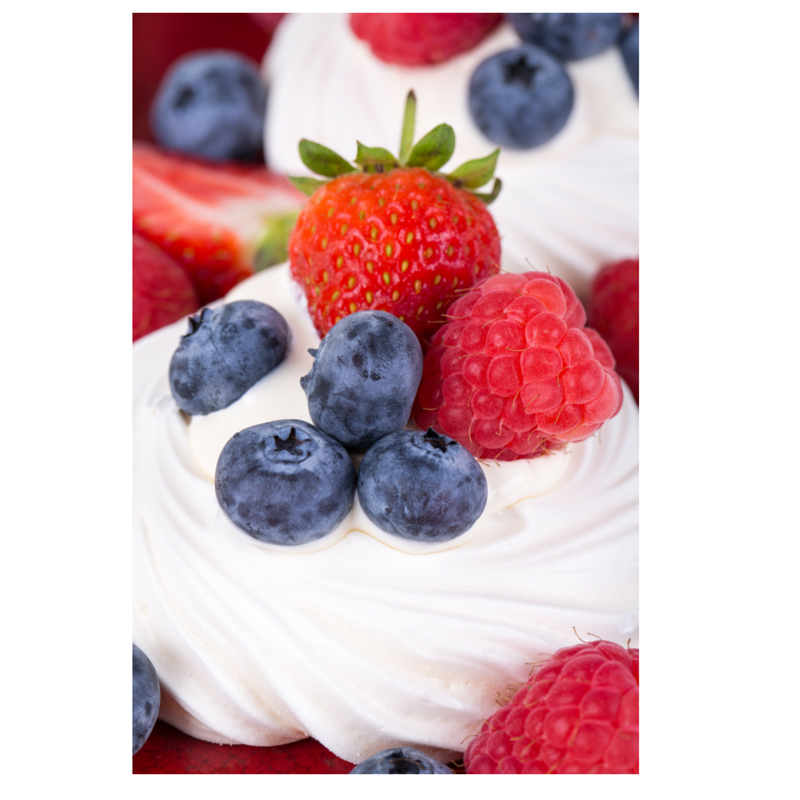 Mix the following high fiber fruits into a dish and then add cool whip or whip cream. Yes, I know that cool whip has sugar, but it does make for an amazingly delicious dessert. Well, there you have it. 41 high fiber fruits to eat for every occasion. Just don’t eat them all at once mmkay?